On Friday, after a meeting of the JCPOA commission in Vienna, Iranian Deputy Foreign Minister Abbas Araghchi held separate talks with US officials, local media reported. On Tuesday, Tillerson was dismissed via Twitter and replaced by CIA Director Mike Pompeo — a move Trump said was over disagreements on policy issues, including the JCPOA. On March 5, around a week before firing Tillerson via Twitter, Trump told Israeli Prime Minister Benjamin Netanyahu during a meeting that the United States would pull out of the 2015 Iran nuclear deal if his demands to make "significant" changes to the agreement were not met, US media reported, citing officials. Retired US Air Force Lieutenant Colonel Karen Kwiatkowski told Sputnik that Trump’s decision to drop Tillerson and replace him with Pompeo, a longtime critic of the nuclear deal, was a triumph for Israel’s right wing Likud government and its US political allies. "A more concerning issue with the dismissal of Tillerson, are rumors that he was soft on Iran, and that his removal had been demanded by Likudniks in Israel and congressional supporters of AIPAC [American Israel Public Affairs Committee] and right-wing Israeli politicians," she said. Tillerson had also clashed with Trump on other major areas of foreign policy, Kwiatkowski said. "Movement towards peace on the Korean peninsula, resolving Syria, dealing with Iran, and determining directions with China and Russia were all areas that… the State Department, and by extension Tillerson, were and are resisting Trump’s preferences," she added. Trump wanted to break stalemates and negotiate his own original deals, Kwiatkowski explained. Gina Haspel, the veteran intelligence professional whom Trump has named as his choice to replace Pompeo as CIA Director appeared unlikely to challenge any hardline efforts by Trump and his team to scrap the agreement with Iran, Kwiatkowski suggested. "Haspel is not widely known except in regards to her loyalty to the CIA, her willingness to follow orders, and the fact that several neoconservatives and interventionists have already lauded her nomination," she said. In January, Trump said he was "waiving" the application of certain sanctions as stipulated by the JCPOA but only so that the European parties to the deal could work on improving it. Former US Army officer and historian Todd Pierce told Sputnik that the personnel shakeup at the top of the administration was likely to intensify US pressure on Iran. Pompeo’s appointment to succeed Tillerson was "not so much a policy shift but a solidifying of an aggressive policy toward Iran I believe. The entire Trump team is on board with tearing up the Iran agreement now," he said. Trump had promoted and moved hardliners into key decision-making positions and he had eliminated more cautious voices like Tillerson who opposed or sought to moderate confrontational policies, Pierce explained. The president had selected "the most militarist officials we have setting policy and terms of debate, and coloring intelligence interpretation, with no ‘moderates’ like Tillerson interfering in the discussion," he said. Trump had made his consistent hostility to the agreement clear during his 2016 election campaign even when he sounded more moderate tones on other foreign policy issues, Pierce recalled. 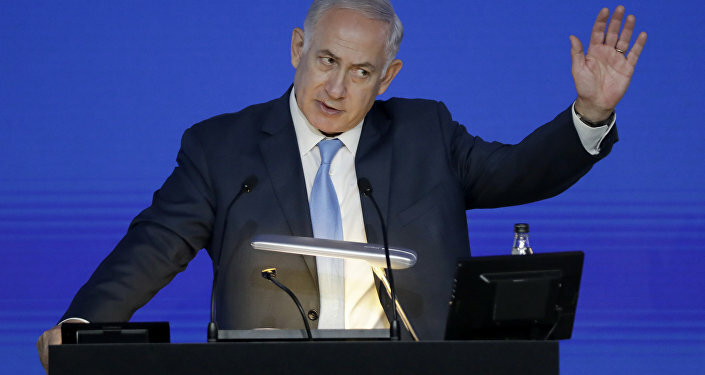 "Trump has already shown with Jerusalem that [the Israeli government] this may be one deal where he gives them their money’s worth, in my opinion," he said. In July 2015, Iran and the P5+1 group of nations — the United States, Russia, China, France and the United Kingdom plus Germany — signed the JCPOA. 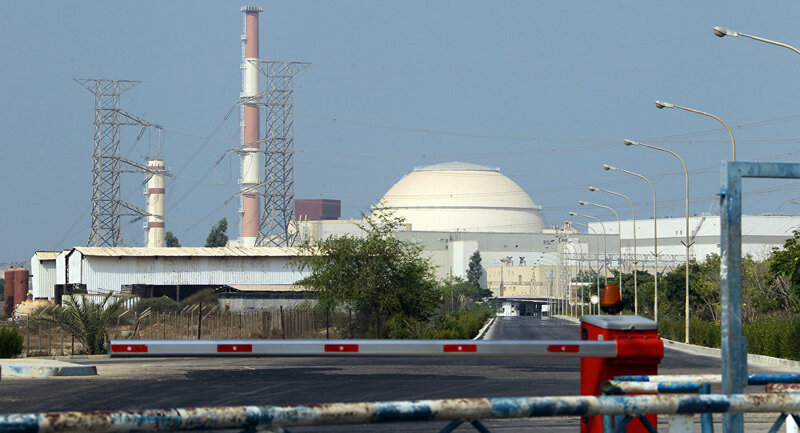 The agreement stipulates a gradual lifting of sanctions imposed on Iran in exchange for Tehran maintaining the peaceful nature of its nuclear program.